On April 27, 2008, the Ninth Circuit issued a revised opinion in United States v. Easterday, ___ F.3d ___ (9th Cir. 2009) and denied petition for rehearing. In Easterday, the Ninth Circuit finally and explicitly sounds the death knell for taxpayer hopes founded on United States v. Poll, 521 F.2d 329 (9th Cir. 1975). Section 7202 of the Code imposes a criminal penalty on parties having an obligation to withhold tax and pay over to the Government. Section 7202 is the criminal analog tto the civil Trust Fund Recovery Penalty in § 6672 (often called the TFRP or the responsible person penalty). The Government has ramped up the use of § 7202 recently in order to increase compliance with the underlying obligation to withhold and pay over. Persons within an organization who failed in their responsibility to have the organization withhold and pay over perceived an opportunity in Poll to avoid criminal liability where, as is often the case, the organization does not have the cash to pay over. This can occur where the organization, facing cash flow problems, is paying net wages to the employees -- perhaps using available cash for other purposes (i.e., paying the squeakier wheels) -- and thus, from that perspective, does not have and cannot payover the actual cash representing the tax that it is deemed to have withheld from the employees. Poll held that the Government must prove that the organization did have the available cash before the person can be convicted under § 7202. This holding in Poll was addressed to the "willfully" element of the statute on the notion that the person cannot have acted willfully if the cash wasn't there. In Easterday, the Ninth Circuit held that Poll was no longer good law, having been eroded by subsequent Supreme Court and Ninth Circuit authority. The Ninth Circuit held that the holding in Poll was effectively overturn by subsequent Supreme Court refinements -- particularly in Pomponio and Cheek -- to the definition of willfully as being the intentional violation of a known legal duty. In the particular context, paying net wages where the taxpayer is not able to pay over the amount deemed withheld is a violation of a known legal duty. The employer has the option of either not paying wages at all (hence incurring no obligation to withhold and pay over) or by reducing the net wage to the employees leaving sufficient cash to pay over to the Government. Practition Caveat: Do not be lulled into a false sense of security by the Ninth Circuit's statement that "§ 7202 [is] a fairly rarely invoked provision." That may have been true years ago, but not recently and, with the downtown in the economy and pressing needs to stem the erosion of the federal fisc, I and many practitioners believe that § 7202 prosecutions will be a key component of the Government's criminal enforcement initiative. As I reported earlier here, DOJ Tax is promoting on the hill legislation to expand the money laundering provisions to include certain crimes - tax evasion and the § 7206 crimes (principally tax perjury and aiding and assisting). Tax Notes Today reports that the Senate passed the bill yesterday 92-4. The bill including the provision also increases funding for financial fraud investigations, including a $5 million increase for DOJ Tax which has proved to be a strong force in the IRS initiatives against offshore evasion. This provision, if enacted, will substantially up the criminal penalty and offer the IRS an opportunity to forfeit which is typically not available for tax evasion. We have previously blogged here the Department of Justice initiative to squeeze UBS for its alleged illegal assistance to U.S. taxpayers' tax evasion. The Wall Street Journal Law Blog reports here that, incident to the new negotiation of a tax treaty with the U.S., the Swiss Government wants relief for past sins (as well as continuing to hide the names of its clients). Specifically, it wants the DOJ John Doe Summons case dropped. Treasury Timothy Geithner on the fringes of the Annual Meetings of the Bretton Woods institutions in Washington. Mainly bilateral issues were discussed. The focus of the discussions was the forthcoming negotiations between Switzerland and the US on a new double taxation agreement. resident Merz outlined to Treasury Secretary Geithner the decision of the Federal Council to extend international cooperation on tax issues and, to this end, to fully adopt the OECD standard. The negotiations on the new double taxation agreement will start in Bern on 28 April. The situation concerning UBS in the US was also discussed during the meeting. In particular President Merz raised the issue of the pending civil action against UBS, through which the US tax authority, the IRS, is requesting the release of a large amount of data on clients. He expressed his hope to the US Treasury Secretary that a solution can be found for this matter no later than when the new double taxation agreement is to be put before parliament. There was agreement that a solution should be found rapidly which is equitable to both sides. In addition, independent of the UBS John Doe Summons initiative, Tax Notes Today reports that the IRS claims to already have the names of more than 250 tax evaders using offshore accounts and that there will be further initiatives beyond UBS. I don't know the likelihood of the relief UBS is seeking. Those potentially at risk for these off-shore adventures with UBS as well as other foreign banks or intermediaries still have to face the very real and pressing question of whether to do a voluntary disclosure while waiting for this manna to fall from heaven (if it ever does or, if it does, it is less tasty than imagined). Taxpayers can get certainty at a significant financial cost via voluntary disclosure. Get in Line Brother. This New York Times presentation called May it Please the Court will make you feel good, particularly if you have been weighed down on tax crimes subjects all day. I just became aware of the petition for certiorari in the Yusuf case (United States v. Yusuf, 536 F.3d 178 (3d Cir. 2008), cert. pending by petition for cert filed 1/30/2009), which I previously discussed here). Readers will remember that the concern arising from Yusuf and other Government noisings is that DOJ Tax will loosen the strings on its previous policy to approve only sparingly the packaging of tax evasion as mail or wire fraud as a predicate act for money laundering. In United States v. Yusuf, No. 07-3308, 2008 WL 2875332, at *8 (3d Cir. July 21, 2008), the Third Circuit held that unpaid Virgin Islands Gross Receipts Taxes, which were unlawfully disguised and retained by means of the filing of false Virgin Islands Gross Receipts Tax Returns through the U.S. mail, are “proceeds” of mail fraud for purposes of stating a money laundering offense. The tax at issue in Yusuf was not income tax, but a non-federal tax calculated as a straight percentage of sales, which helped satisfy the limited circumstances under which the Tax Division will authorize such charges. In addition to holding that the retained taxes were the proceeds of mail fraud, the Third Circuit further held that the retained taxes amounted to "profits," thus satisfying United States v. Santos, 2008 WL 2229212 (June 2, 2008), in which the Supreme Court held that the term "proceeds," at least in some money laundering contexts, means profits, not gross receipts. Yusuf created a conflict with United States v. Khanani, 502 F.3d 1281, 1296-97 (11th Cir. 2007), in which the Eleventh Circuit held that the definition of "proceeds" is limited to "something which is obtained in exchange for the sale of something else," and thus does not include retained taxes. Note, how DOJ Tax interprets Yusuf narrowly so as to, potentially, mitigate the broad concerns the tax community has voiced that ordinary tax evasion would be bootstrapped into money laundering via mail or wire fraud, one or both of which are almost always present in tax evasion and other tax crimes. Still, even with the possibility that courts will buy into a narrower construction, the tax community is rightly concerned and needs to watch the developments. The Government's response to the petition for cert is due 5/6/09. You can check the status in the Supreme Court's docket sheet here. Historically, at least back in the old days, clear conflicts were often the key factor in the Supreme Court to take cert. Conflicts alone will not do it, however, as in situations where the conflict could resolve itself by more bubbling around in the courts of appeals. Still, given the uncertainties inherent in Santos, this looks like a good opportunity for further clarification in this important area. Finally, I remind my readers that DOJ is promoting a legislative expansion of the money laundering provisions to include some tax crimes. I have previously discussed that initiative here. The Government's much ballyooed prosecution of Indy driver Castroneves has fizzled. See the article here. Perhaps are related read is this article from the WSJ's Tom Herman, the WSJ's tax column writer who, upon his retirement, notes that the tax system is broken and needs fixin'. Thanks to the Doug Berman's Sentencing Law & Policy Blog, I learned of the Third Circuit's en banc decision in United States v. Tomko, 562 F.3d 558, 567 (3d Cir. 2009) (en banc), here. There is lots of good stuff there, and I will probably pontificate on it after I have thoughtfully considered it (perhaps even one or two beers deep). However, my initial impression is that, perhaps, just perhaps, the Courts of Appeals and the Supreme Court (is that the right order?) do not believe that it is or should be their duty to micromanage sentencing decisions. Sure, there are policy arguments back and forth on that issue, but, really guys, is micromanagement of those decisions at the appellate level any way to run a justice system (with emphasis on justice), particularly with our history which, after all, informs us of who we are and who we ought to be? Someone has said that, perhaps, post-Booker, we are back in the wild, wild west days of sentencing. I would not say wild, wild west. I would say that the judges are given the discretion to fashion the punishment to fit both the crime and the person. The law is clear that, upon conviction for tax evasion, the taxpayer is estopped in the inevitable civil proceeding from asserting that civil fraud was involved. Two consequences then flow from the presence of civil fraud -- (i) liability for the civil fraud penalty in Section 6663 and (ii) an open statute of limitations if the statute of limitations for assessment is otherwise barred under the normal 3 and 6 year rules. Normally, the application of the rule is straigtforward. For example, assume that the taxpayer is charged in the criminal case with 4 counts of tax evasion -- one count each for years 1 - 4 and that he is convicted for years 1 & 2 and acquitted for years 3 & 4. This rule says that the taxpayer is collaterally estopped to deny civil fraud for years 1 & 2, thus being subject to the penalty and an open statute of limitations for years 1 & 2. The IRS may still assert civil fraud for years 3 & 4 for which the taxpayer was acquitted of tax evasion, but the IRS will have to meet the predicate requirement that the IRS prove civil fraud by clear and convincing evidence. This was a straightforward holding and hardly worthy of comment. The only reason I even mention the case at all is the inclusion of 8 years of tax evasion in a single count. I have observed tax evasion (and other tax crimes, such as Section 7206(1) charges for tax return crimes) for multiple years charged as a separate count for each tax year. Perhaps others have other experience in this regard. I was trying to imagine why the Government would have asserted the eight years evasion in a single count. Since this was a superseding indictment it was probably the result of a plea agreement. By pleading to only two 5 year counts, Mr. Williams capped his risk of incarceration to 10 years. But, my rough and ready calculation of the sentence under the 2000 sentencing guidelines would suggest that, with a 3 level reduction for acceptance of responsibility, he would have had a Guidelines sentence (considering both the conspiracy count and the tax evasion count) well below 10 years, so he probably did not need to cap his sentence at 10 years. But, from the Government's perspective, it did not need any more than one count of tax evasion which coupled with the conspiracy count would give the court up to 10 years in which to sentence. Usually, in my experience, the way that would be done is to charge the 8 counts of tax evasion, have the defendant plead to one, and drop the remainder upon the acceptance of the plea. Then, for sentencing purposes, all of the tax losses involved in the dropped counts would be considered as relevant conduct and included in the Guidelines calculations anyway. So, the result in the criminal case was not affected at all by charging the tax evasion in one count rather than 8. Where it could make a difference is where additional counts of conviction are required in order to achieve an appropriate sentence. Let's say, for example, that three years of tax evasion are involved and $100,000,000 of tax loss is involved. The current -- i.e., 2008 -- Guidelines sentence with only a 3 level reduction for acceptance of responsibility would produce an offense level of 29 which produces a sentencing range of 87-108 months. Then, of course, more than one count of conviction would be required to achieve a Guidelines sentence (assuming, of course, that the sentencing court wanted a Guidelines sentence or wanted a Booker sentence exceeding the 5 years available for one count). And, of course, by including the 8 counts in a single count to which the taxpayer pled, the Government did get collateral estoppel in the ensuing civil case. In my experience, the Government now imposes a restitution agreement in the plea agreement (i.e., the taxpayer is not forced to agree to restitution, but if it wants a plea deal, he must). Depending upon how the restitution agreement is worded, the taxpayer may be foreclosed from trying to avoid civil fraud with respect to any dismissed counts that are included as amounts required to be paid as restitution. 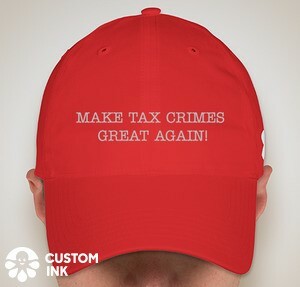 Persons practicing in the White Collar Crime area, including the federal tax crime area, have viewed with great interest the recent mutiple missteps by federal prosecutors in major criminal prosecutions. In the tax area, we were treated to the KPMG prosecution where the Government forced KPMG to quit paying attorneys fees and suffered the dismissal of 13 defendants when the Judge called foul. It was bad enough that the Government had engaged in that sort of extortion, but worse when the prosecutors dissembled about it in trying to get the judge to avoid looking into the sordid conduct. Happenings of the same genre -- convict at any cost -- seem to keep surfacing. E.g., the whole Senator Stevens prosecution involving the prosecutors' Brady disclosure violations among other footfaults. Today's Wall Street Journal has an interesting article here on the abuses in the disclosure area and how to mitigate them. Tax Defiers - Is Texas Governor Perry One? Jonathan Turley this morning posted here a very interesting piece on Texas Governor Perry's rantings about Texas' right to secede from the union. Governor Perry of course hopes to fan the flames of discontent of the rabid conservative base to propel him into a potent national force in the Republican Party. Of course, you might guess that a major discontent among this group is the belief that they are being abused by taxes, which, as Justice Holmes said, are the cost of the a civilized society (apparently, their belief is that the United States' society is not civilized so they do not or should not have to pay the cost). Governor Perry is just pandering to a tax defier base (hopefully just a fringe subset -- albeit vocal subset -- of his party). Isn't this just another form of tax defiance which has given the IRS and DOJ so much angst and drawn civil and criminal cases? Certainly, these genre of ranting is just as societally objectionable as the mainstream, non-governor tax defiance claims. Should the IRS / DOJ bring out its anti-tax defier weapons here or should they just let the Governor rant into irrelevance? The IRS continues to press the offshore issue, using a tried and true technique -- the John Doe summons -- for gathering information from U.S. resident companies in the credit and debit card processing businesses. You will recall that some years back the IRS used the John Doe summons in this context to blast out information identifying credit and debit card customers of tax haven banks. The IRS is now back with a related John Doe summons initiative directed to identifying U.S. merchants who deposit proceeds from credit, debit, and other payment card sales directly into offshore accounts, thereby facilitating tax evasion. The summons was issued to a credit and debit card processor. 5. The "John Doe" summons relates to the investigation of an ascertainable group or class of persons, that is, United States taxpayers who have established Merchant Sales Agreements with First Data Corporation or any of its subsidiaries or affiliates, to process debit card, credit card, charge card, or other payment card transactions pursuant to a referral or any other business arrangement involving or software provided by First Atlantic Commerce, Ltd., a Bermuda Corporation that results in Net Payments being deposited into an account at a Merchant/Acquiring Bank located outside the United States, at any time during the period January 1, 2002, through the date of service of the "John Doe" summons. There is a reasonable basis for believing that such group or class of persons may fail, or may have failed, to comply with one or more provisions of the Internal Revenue laws. The information sought to be obtained from the examination of the records or testimony (and the identity of the persons with respect to whose tax liabilities the summonses have been issued) is not readily available from other sources. New York Times Article on Plea by Robert Moran, described as a wealthy UBS private banking client. I am sure more details will come. However, I do note that the New York Times article appears to have an inconsistency. The article says the plea is one count of tax evasion but that the maximum penalty indicated is three years. The maximum penalty for tax evasion is 5 years. Perhaps the reference to tax evasion is nontechnical rather than the technical Code meaning. More likely, the plea is for tax perjury which does carry a 3 year maximum. Technically, the key (but not only) difference between tax perjury is that evasion of a substantial tax due is an element of tax evasion but not of tax perjury. In our experience, charges of tax perjury do have evaded taxes involved but not as elements of the crime. The evaded taxes surface in the sentencing phase because the evaded taxes -- referred to as the tax loss -- for sentencing purposes is the principal driver of the Guidelines calculation which is now advisory under the post-Booker regime. UPDATE: The Wall Street Journal appears more precise in calling it a plea to a false tax return, which probably means tax perjury with the three year maximum. This seems to be a bit of a light punishment (capping the sentence at 3 years max), but perhaps the defendant was already in the IRS's sight and was incentivized to strike a quick deal so that the IRS/ DOJ could publicize this notch in their belt contemporaneous with the 4/15 tax day filing deadline and the recent roll out of the voluntary disclosure program for offshore accounts discussed here. My hunch is that, as the DOJ lines up its prosecution targets, a 3 year max deal is going to be as good as it gets and it will get a lot worse. Get in Line Brother & Righten That Wrong. On April 13, 2008, DOJ Tax issued a self-promotion press release its accomplishements in 2008. Much of the release is related to criminal prosecutions. I excerpt those portions. The Tax Division has assisted the Internal Revenue Service (IRS) in tracking down tax cheats who use offshore accounts, combating abusive tax shelters, stopping tax defiers and shutting down tax schemes and scams. During FY 2008, the Tax Division also successfully defended refund suits against the United States representing claims of nearly $803 million, and collected, through affirmative litigation, over $178 million. The Division’s budget in that period was less than $93 million. The Tax Division has devoted significant resources this past year to combating offshore tax evasion and locating hidden offshore assets. In June 2008, Bradley Birkenfeld pleaded guilty to conspiring with an American billionaire real estate developer, Swiss bankers and his co-defendant, Mario Staggl, to help the developer evade payment of $7.2 million in taxes by assisting in concealing $200 million of assets in Switzerland and Liechtenstein. In February 2009, the Tax Division, together with the U.S. Attorney’s Office for the Southern District of Florida, entered into an unprecedented deferred prosecution agreement (DPA) with UBS AG, Switzerland’s largest bank. As part of the agreement, UBS agreed to provide the U.S. government with the identities of, and account information for, certain U.S. customers of UBS’s cross-border business. UBS also admitted in the agreement, in great detail, how it had conspired to defraud the United States by impeding the IRS. UBS also agreed to promptly exit its cross-border business with U.S. clients, to provide continuing cooperation with the government’s investigation, and to pay the United States $780 million. As part of its continuing review of offshore account information received, in April 2009, the Tax Division, together with the U.S. Attorney’s Office for the Southern District of Florida, charged Steven Michael Rubinstein, of Boca Raton, Fla., with filing a false income tax return. According to court records, Rubinstein, a chartered accountant, failed to disclose in his 2007 Form 1040 that he had an interest in, or signature authority over, a financial account at UBS in Switzerland. Additionally, Rubinstein failed to report the income he earned on any UBS Swiss bank accounts. According to court records, from 2001 through 2008, it is alleged that Rubinstein repatriated approximately $3 million into the United States to purchase property and build a personal residence in Boca Raton. Additionally, it is alleged that Rubinstein deposited and sold more than $2 million in South African Krugerrands through his UBS Swiss bank accounts. The Tax Division is also seeking from UBS approximately 52,000 additional names and account information of United States taxpayers. In February 2009, the Tax Division filed United States v. UBS (S.D. Fla.), a petition to enforce an IRS summons issued to UBS to obtain this information. • In September 2008, attorney Peter Cinquegrani pleaded guilty to conspiracy to commit tax fraud, aiding and abetting tax evasion, and aiding in the submission of false and fraudulent documents to the IRS, in connection with a fraudulent tax shelter called PICO. The Tax Defier Initiative, which the Tax Division announced in April 2008, targets persons who attempt to undermine our entire tax system. Tax defier cases traditionally involve individuals who spout rhetoric denying the fundamental validity of the tax laws as an excuse for not paying taxes, while also availing themselves of the benefits and rights that the United States provides to its citizens and residents. The number of tax defier cases referred for investigation or prosecution increased significantly during fiscal year 2008. TIGTA has produced its annual report on IRS Enforcement Activites. The report is here and the highlight report is here. The report presents key enforcement data is useful charts that help understand the year to year changes in the data. I may have some additional comment later, but wanted to get the report and the highlights out to readers as soon as possible. TIGTA previously reported that from FY 2006 to FY 2007 several key performance measures showed improvement. For example, the numbers of subject investigations initiated, completed, and recommended for prosecution all showed improvement. In FY 2008, the Criminal Investigation Division (the Division) continued to demonstrate efficiencies processing investigations. For example, the number of days needed to close legal and illegal source investigations decreased by 2.9 percent from the previous year. However, some key performance measures that had improved the previous year declined: the number of subject investigations initiated decreased nearly 11 percent; the number of subject investigations completed decreased 5.3 percent; and direct investigative time showed a slight decrease. TIGTA believes that one of the causes for the decreases in the numbers of subject investigations initiated and subject investigations completed was the continued rise in pipeline inventory (a subject investigation that has been recommended for prosecution and the subject has not been convicted or acquitted, or the investigation has not been dismissed) and the resources needed to address it. Pipeline inventory has steadily increased over the past 6 years and now stands at a 9-year high of 4,118 subject investigations. FY 2008 is the second consecutive year where there were more subject investigations in the pipeline than open subject criminal investigations. More direct investigative time is being spent to prepare investigations in the pipeline for adjudication instead of initiating new investigations. Division management believes this is a positive trend since successful prosecutions generate publicity, foster deterrence, and enhance voluntary compliance. For FY 2009, the Division indicated that it would place a greater emphasis on the reduction of the pipeline inventory, which may result in even fewer investigations being initiated and completed during the upcoming year. TIGTA is currently conducting a separate review to evaluate the growth in pipeline inventory and to identify any potential actions that can be taken in the future to reduce the resources devoted to this area. TIGTA believes another cause for the decreases in subject investigations initiated and completed is the continued loss of experienced special agents to attrition faster than they can be replaced. The number of special agents is currently at its lowest level in 30 years. The Division attributes this to its budgets being relatively flat in recent years, which have put pressure on its ability to replace agents lost through attrition because of the need to fund yearly salary increases. TIGTA’s concern noted last year about the net loss of experienced special agents negatively impacting productivity was realized during FY 2008. During FY 2009, the Division plans to hire 192 special agents, but the new, inexperienced agents may not have a significant impact on the FY 2009 performance goals. This is the second blog on the Josephberg case. Please refer to my first blog here which has a statement of the facts. I repeat here only a summary of the facts relevant to the discussion in this blog. From the late 1970s though 2003, Josephberg did multiple acts to avoid reporting and paying his taxes. For the years 1999-2002, he failed to file income tax returns and failed to pay taxes. During those years, there was an ongoing investigation of his claiming of net operating loss deduction carryforwards for his bogus shelters. He claimed that "the very filing of returns for those years would tend to incriminate him, for if he continued to claim the loss he would subject himself to prosecution for those years as well, whereas if he did not claim the loss it would be tantamount to an admission that his prior NOL claims were impermissible." That argument was directed at the charge of failure to file but presumably related to the failure to pay (i.e., if he had paid the tax without claiming the NOL carryforward, he would be admitting that the NOL carryfoward was no good). [W]hatever Romano's specific reasons may have been for not filing the 1983 return, an attempt to evade taxes was not one of them, for there was nothing for Romano to gain, nothing to conceal from the IRS, except possibly some incriminating information as to the source of the income--information that is protected by the fifth amendment. The pendency of a government investigation does not give a taxpayer a Fifth Amendment option to fail to file his tax return. His privilege against self-incrimination is protected by his right to refuse, with a Sullivan citation, to answer the questions that implicate that privilege. The district court correctly denied Josephberg's motion to dismiss Counts 7-15. The take-away from Josephberg for practitioners on this issue is that there is no Fifth Amendment basis for failing to file a return with impunity from the charge of failure to file. Some lawyers have spent considerable angst over this issue over the years, upon the thought that there still may be some play in the joints on the issue. The play is either nonexistent or severely circumscribed. I will write a series of blogs on various aspects of the Second Circuit's decision in United States v. Josephberg, ___ F.3 ___ (2d Cir. 2009), decided on 4/9/09. This is the first installment. The subject of this installment is the tax due element for tax evasion that I have discussed before in several blogs (see here). (vii) health care fraud in violation of 18 USC Sections 1347 and 2 (Count 17). Scott Schumacher, co-author of the Tax Crimes book in the Lexis-Nexis series, has published an article in Tax Notes discussing the Ninth Circuit's decision in Boulware. Scott A. Schumacher, The Ninth Circuit Says Aloha to Boulware - Again, 121 Tax Notes 1631 (3/30/09). I have previously discussed the opinion here, but Scott's article adds nuances well beyond my previous discussion. Further on the indictment I mentioned here, Tax Notes has an article this morning on the indictment. The article makes it clear that the defendant, one Steven Michael Rubinstein, was probably not your prototypical offshore tax cheat. Among other allegations, the complaint alleges that he purposefully concealed $6 million in offshore accounts. His bail was set at $8 million and he is required to wear an electronic monitoring device on his ankle. The proceeding is the first of many expected individual criminal cases resulting from the deferred prosecution agreement UBS reached with the Department of Justice in February. As part of the agreement, UBS paid $780 million to avoid criminal charges and Swiss financial officials released the names of approximately 250 previously undisclosed UBS account holders. U.S. authorities initially requested the names of 52,000 UBS account holders. After conducting an internal investigation, Swiss officials determined that only 250 account holders could be identified without violating Swiss bank secrecy laws. So, it just looks like Rubinstein's case is farther along than the others in the wings. Those who are in the wings -- perhaps the better metaphor is in the sights -- may have little opportunity for voluntary disclosure, but those not yet in the wings / sights have a great opportunity to Get in Line and Righten that Wrong under the Voluntary Disclosure program discussed here and here. Those interested in pursuing the farther along concept might check here for the Peasall sisters' inspiration on that concept (and also the concept of atonement which is inherent in the voluntary disclosure program). I read this morning on the WSJ Blog that DOJ has filed its initial post UBS-deferred prosecution agreement indictment against an alleged U.S. tax cheat using an offshore account. See blog discussions on UBS here. This should be a further wake-up call for those not yet in the cross-hairs to take advantage of the voluntary disclosure initiative which I discuss in blogs here. I am reminded of the following song written by Lester Flatt and sung by he and Earl Scruggs and the Foggy Mountain Boys. In the immortal words of this song, these taxpayers should get on their "knees and righten that wrong." To hear Get In Line Brother by the Cox Family (not Lester and Earl, but still good) click here. By the way, for you bluegrass trivia fans, Lester Flatt, the author of Get In Line, Brother, is the same person that Earl Scruggs was referring to when he told Pearl that Lester Flatt slicks his hair with possum fat. One of the risks of the sentencing process is that the sentencing judge can have prejudicial garbage dumped on him or her to influence his or her sentencing decision. Most of the time, the intended prejudice is visited on an immediate party to the case -- usually the defendant, but sometimes perhaps the prosecutors. But, it can also be directed at others who are not parties to the sentencing and thus not in a position to contest the garbage. That happened during the sentencing in United States v. Larson (USDC SDNY No. S1 05 Cr. 888 (LAK)) which I discussed in yesterday's blog here. Readers will recall that the original case involved 19 defendants and, in a major decision, the trial judge, Judge Kaplan, smelled a rat in the prosecutors' heavy hand in forcing KPMG to withdraw paying attorneys fees for 13 of the defendants under the guise of the now-discredited Thompson Memorandum. Judge Kaplan called the constitutional foul and dismissed 13 defendants. (Not only was the prosecutor's action constitutionally abusive, Judge Kaplan found the prosecutors economical with the truth about their conduct when the issue surfaced.) The Second Circuit affirmed the dismissal United States v. Stein, 541 F.3d 130 (2d Cir. 2008), here, much to the chagrin of the prosecutors. Those defendants who have never been tried or afforded an opportunity to present a defense are, constitutionally, presumed innocent of the charges the Government made. Yesterday, Judge Kaplan imposed sentencing for the three convicted defendants in United States v. Larson (USDC SDNY No. S1 05 Cr. 888 (LAK)), the remnant of the infamous United States v. Stein, 541 F.3d 130 (2d Cir. 2008). These cases involved the KPMG-related shelters, principally the BLIPS shelter (a variation of the Helmer shelter extrapolations at the core of a lot of the acronymic shelters the Government imagines to have been so abusive). Yesterday, also, Larry Campagna and I covered the Sentencing Guidelines in our Tax Fraud and Money Laundering Class at UH Law School. In this blog, I use the Larson sentencing and the reports that I have received to reinforce some of the aspects of sentencing that we covered in the class. I focus principally upon the Guidelines calculations although I start and end with Booker. And, the points I make here only address the items I have selectively gleaned from the reports I have to date. I am sure I will have to refine them, so offer these as a quick discussion that might be helpful particularly to the class members because of last night's discussion. The United States Attorneys Office for the Southern District of New York (USAO SDNY) filed this spreadsheet of sentencing for major tax crimes in United States v. Larson (USDC SDNY No. S1 05 Cr. 888 (LAK)). Larson is the remnant of the infamous United States v. Stein, 541 F.3d 130 (2d Cir. 2008). These cases involved the KPMG-related shelters. The four remaining defendants in Larson were convicted in a case where the tax loss was in the billions. The tax loss is the principal driver for calculating the Guidelines sentence. (The defendants have other Guidelines-enhancing attirbutes, but the tax loss is the biggie.) The defendants of course are urging the district court to exercise its post-Booker discretion to vary downward from the sentence otherwise indicated by the advisory Guidelines. Courts have exercised their discretion in tax cases in some cases and, in my view, the Court will likely do so in Larson because the indicated Guidelines sentence is so draconian (24 years). The battleground is likely how much the variance will be. The USAO SDNY submitted this spreadsheet of other sentences in tax cases involving less tax loss to assist the court. Interesting reading indeed. The sentencing of Messrs Larson and Pfaff will be this afternoon. I will post information or comments on the sentencing later as it becomes available.